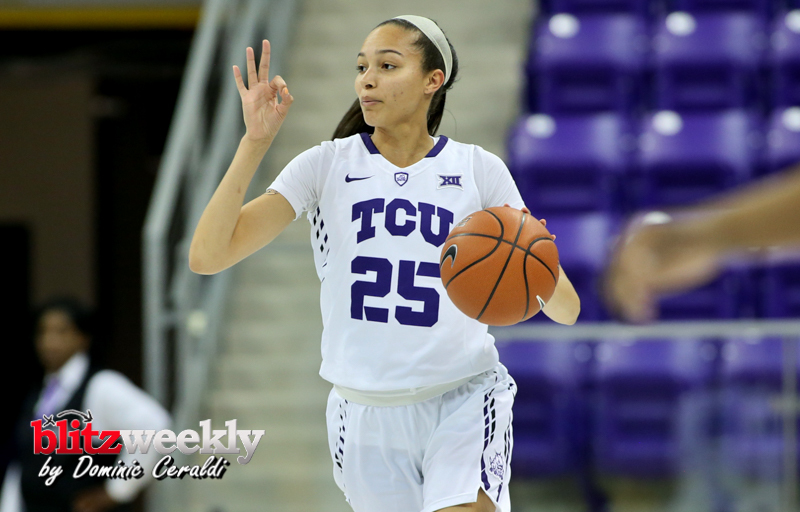 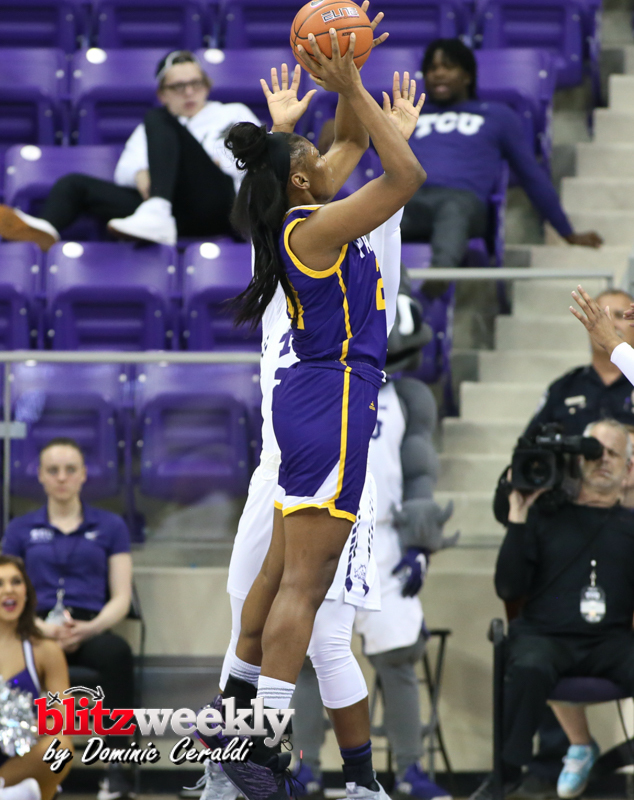 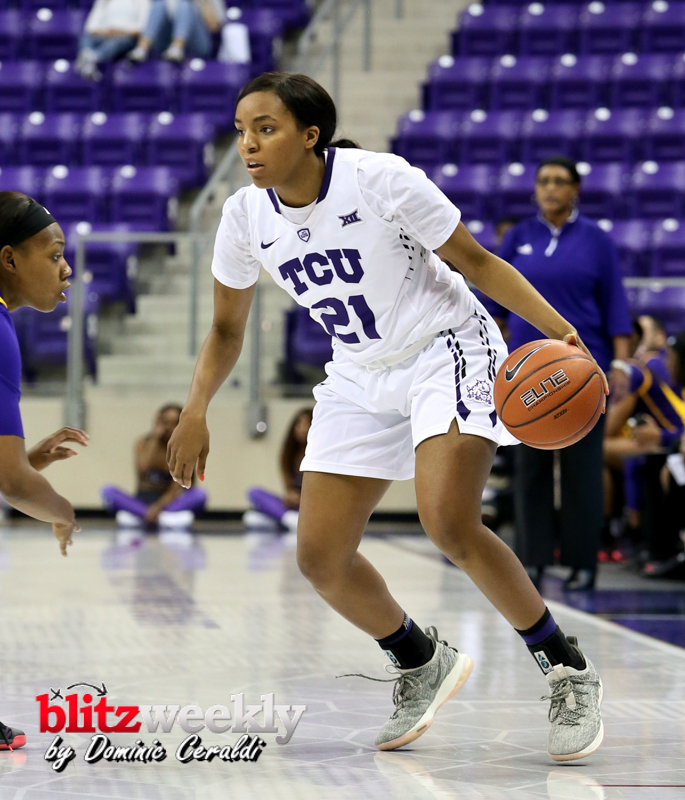 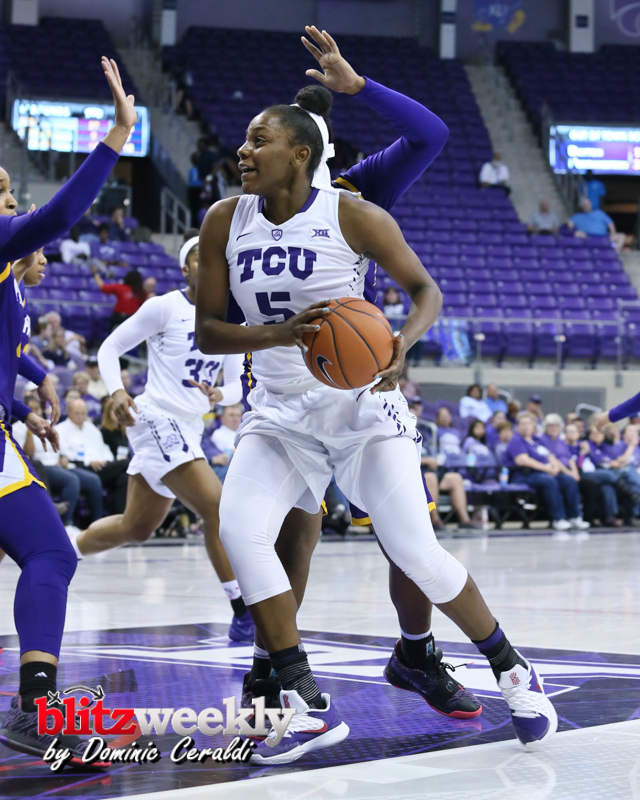 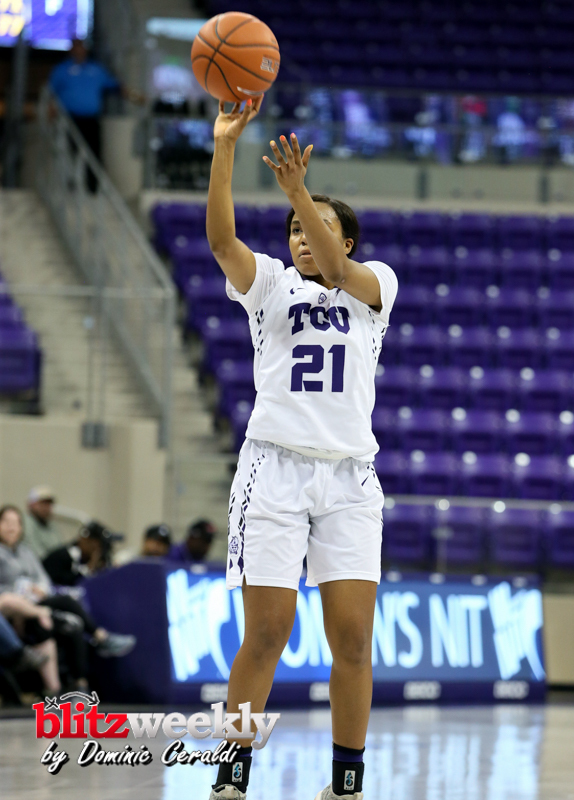 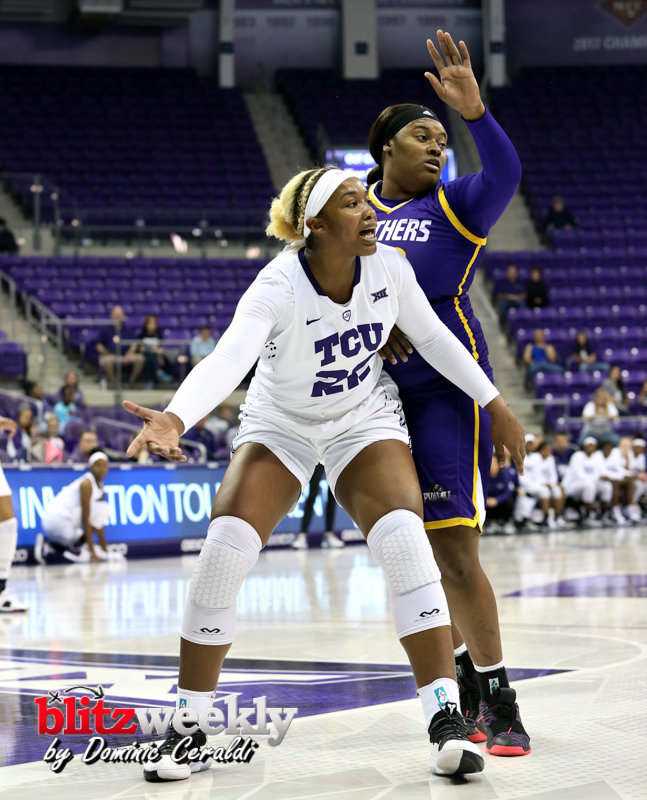 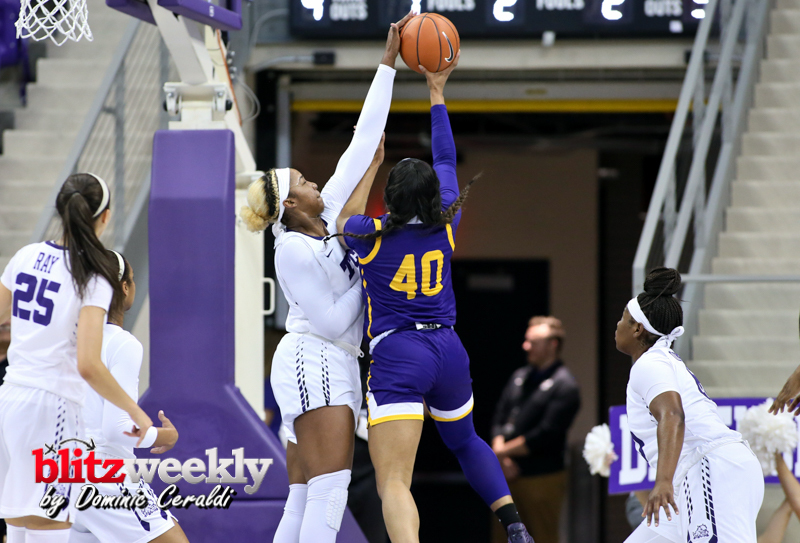 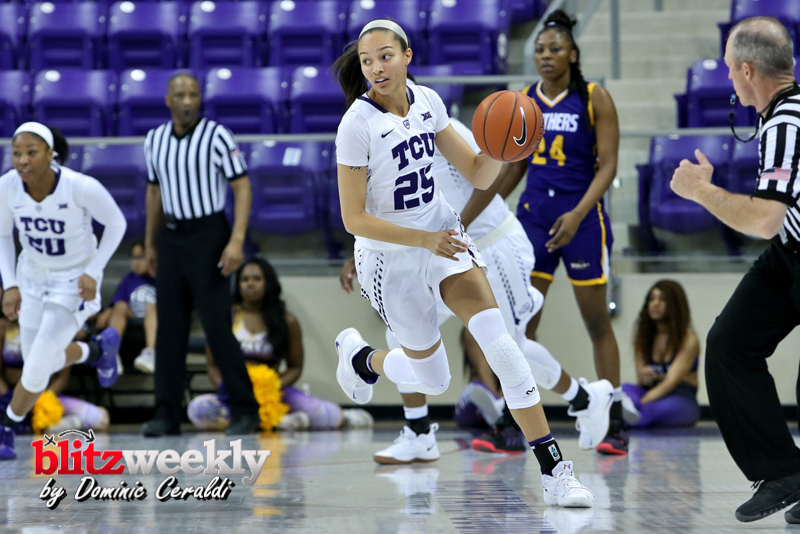 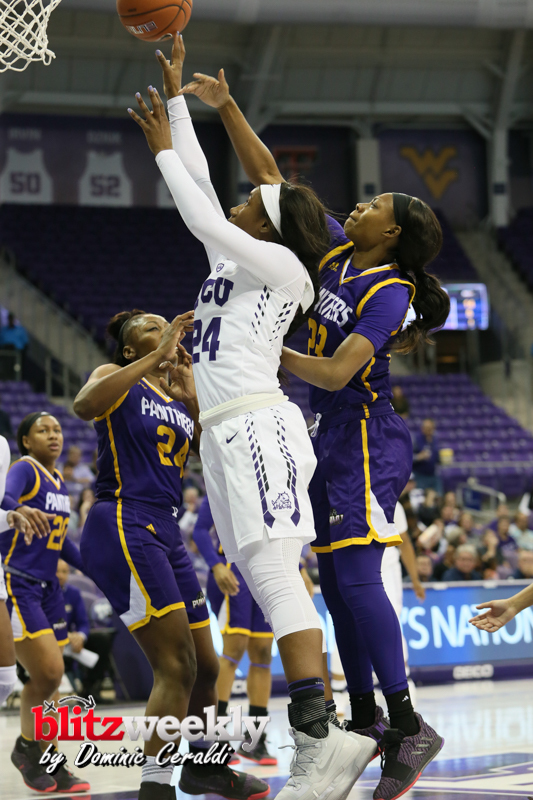 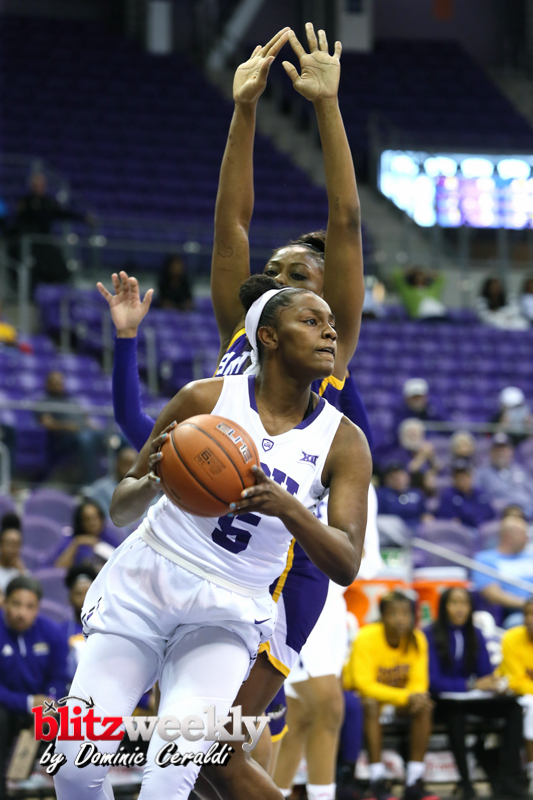 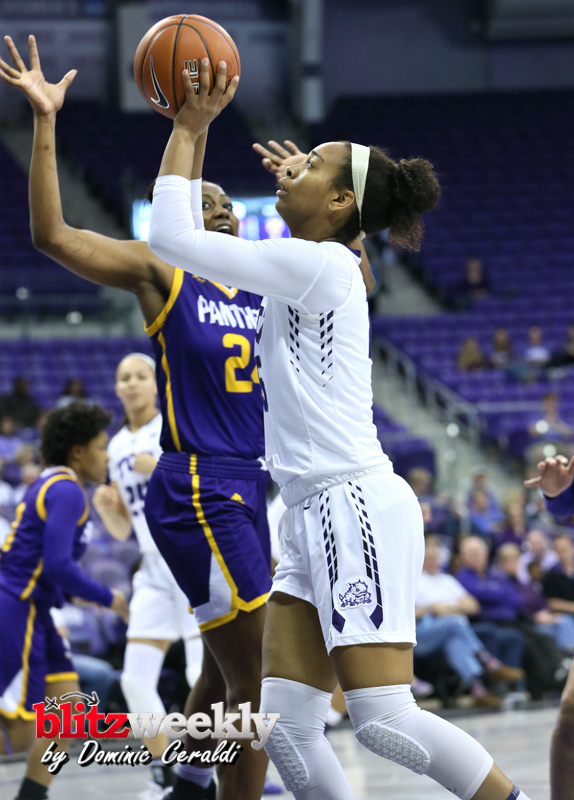 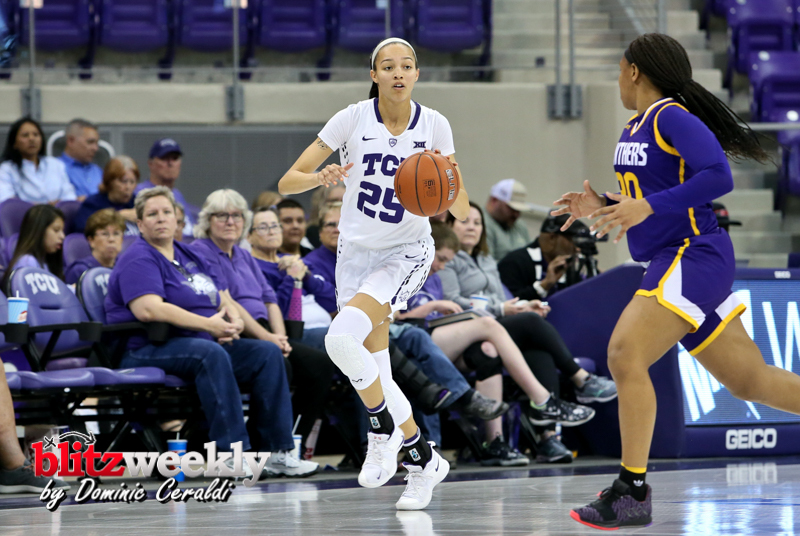 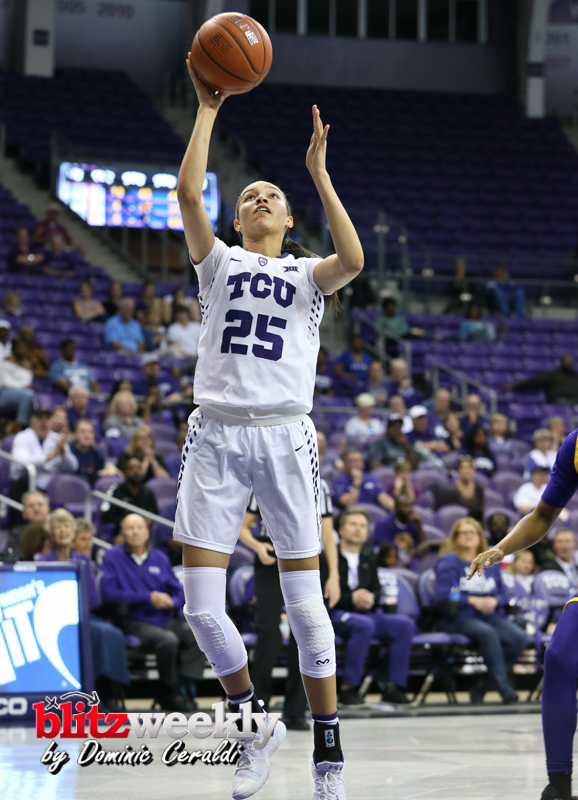 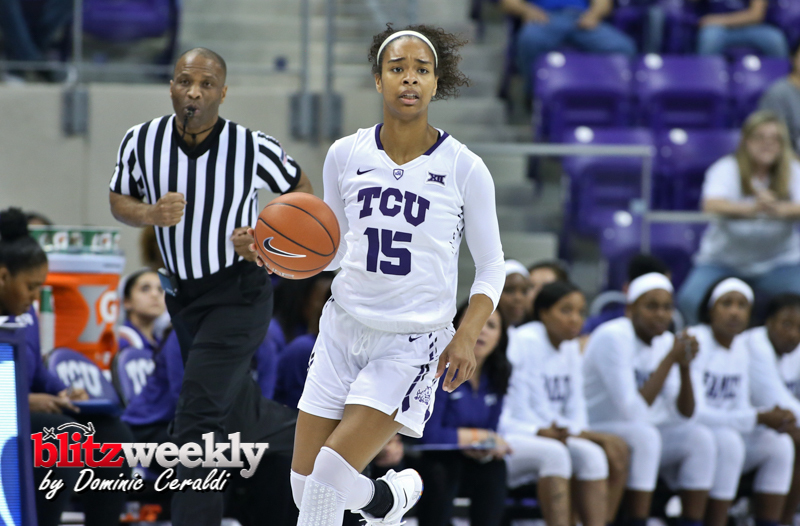 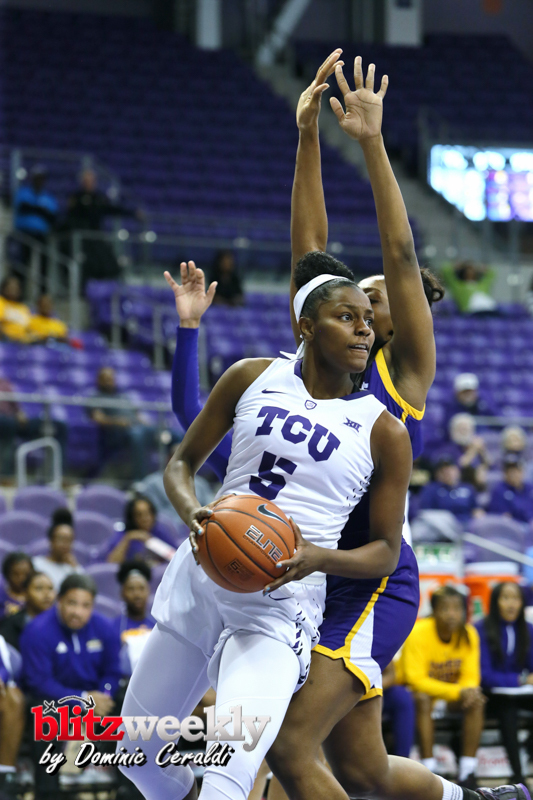 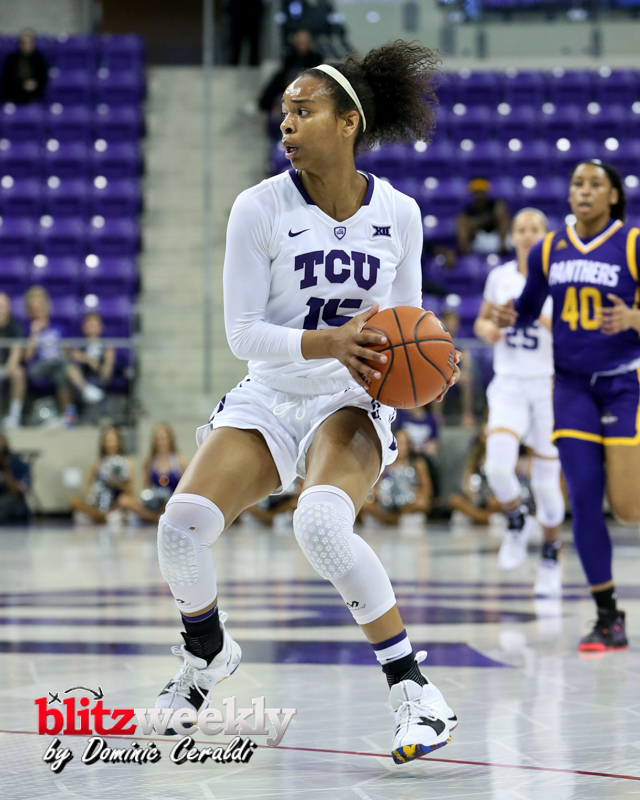 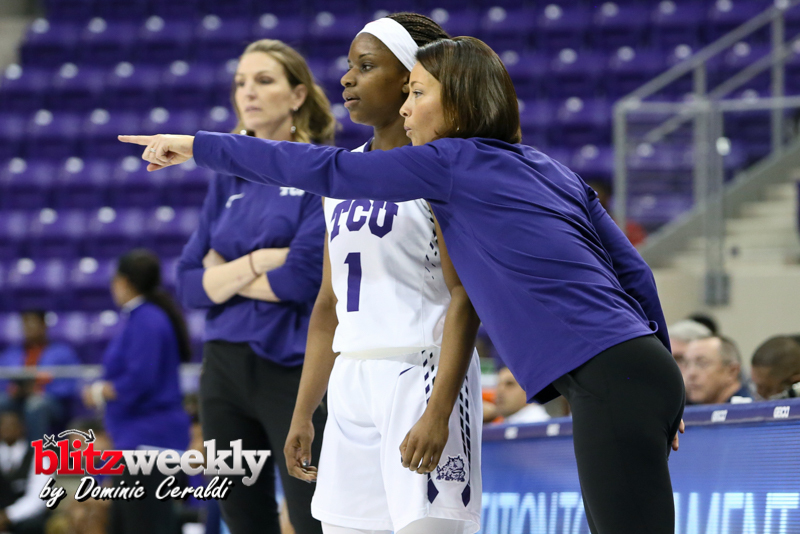 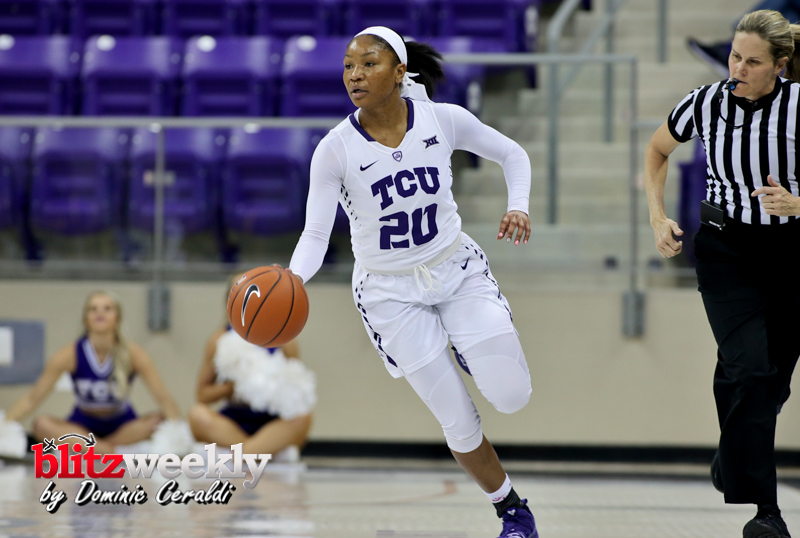 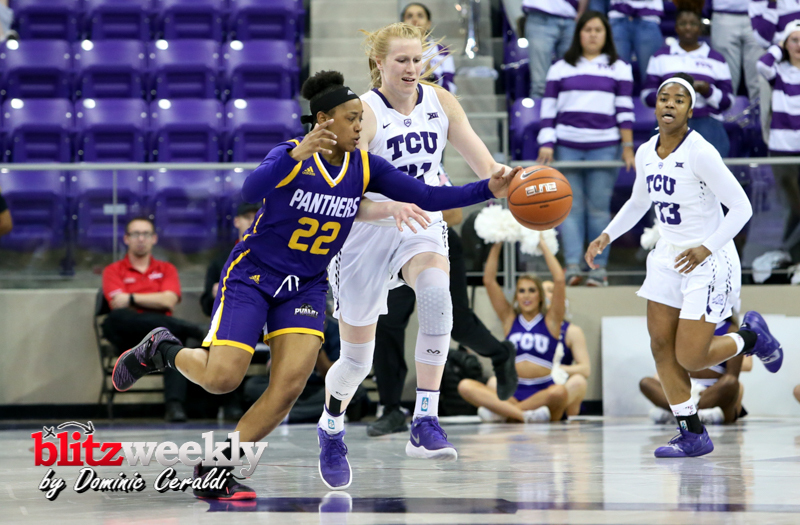 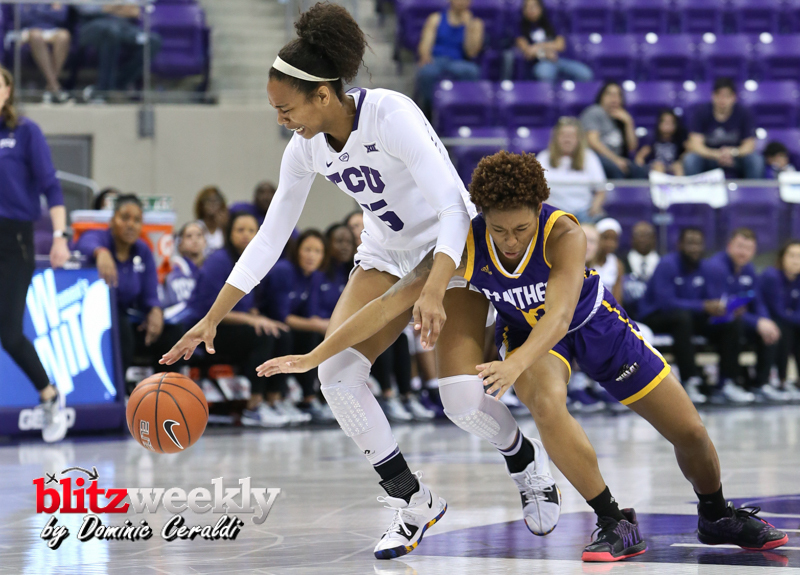 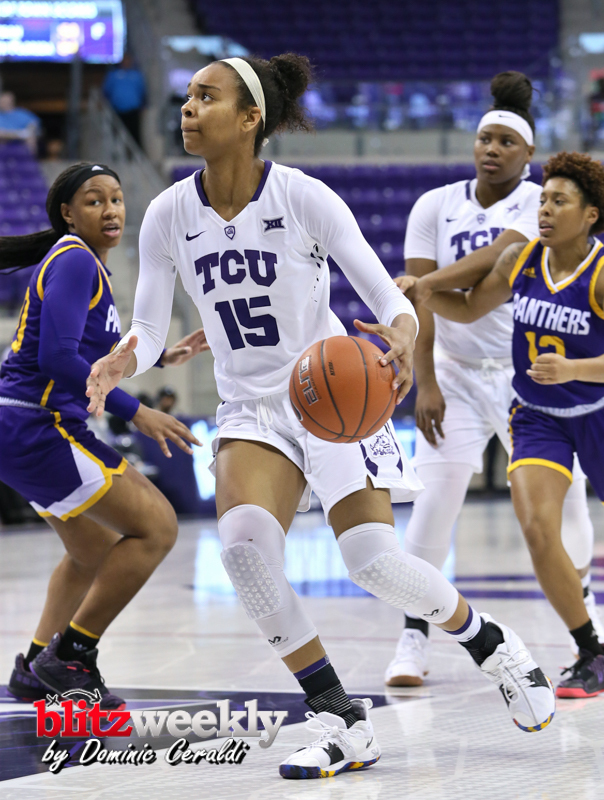 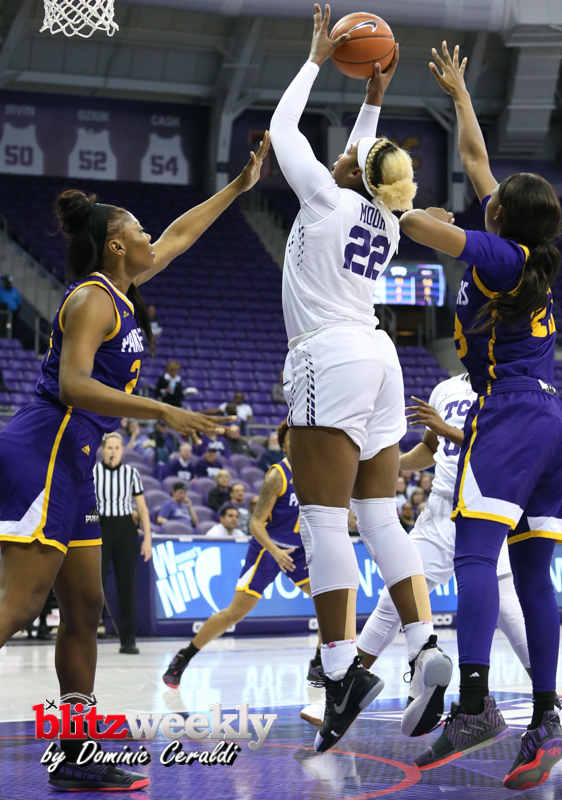 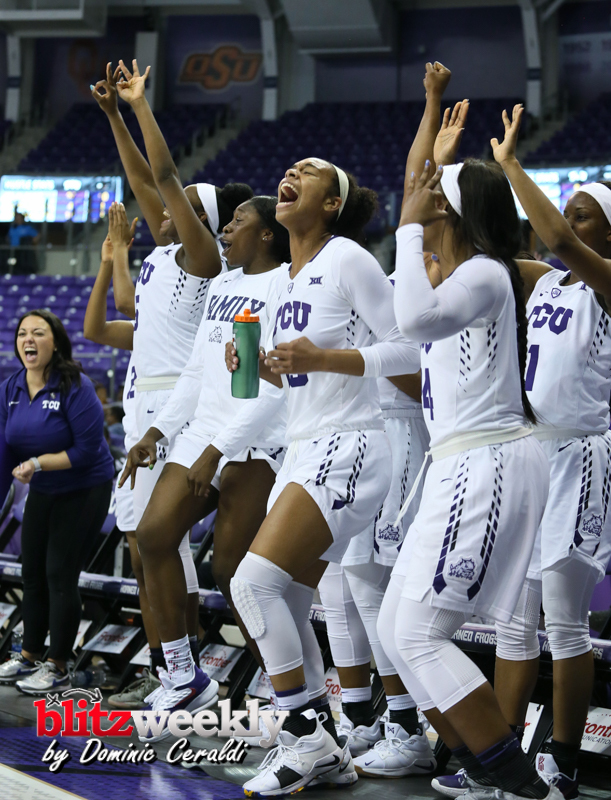 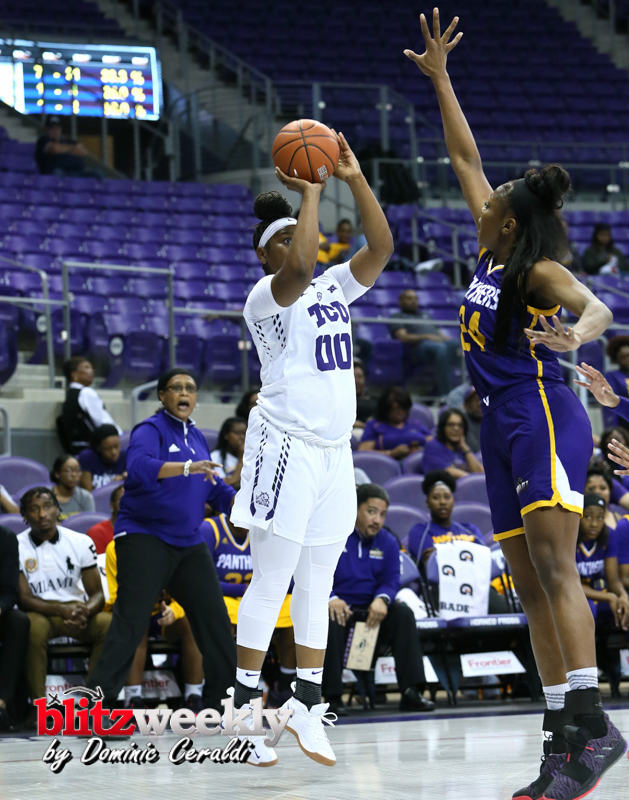 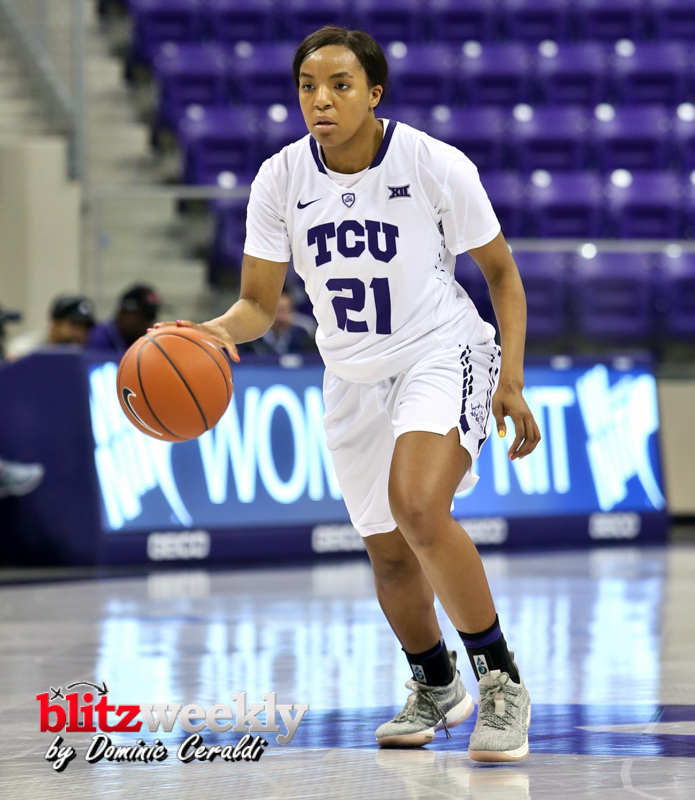 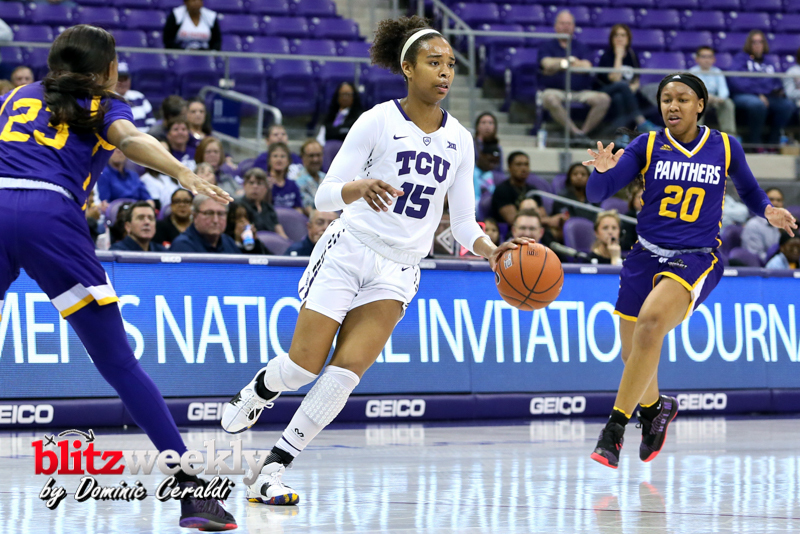 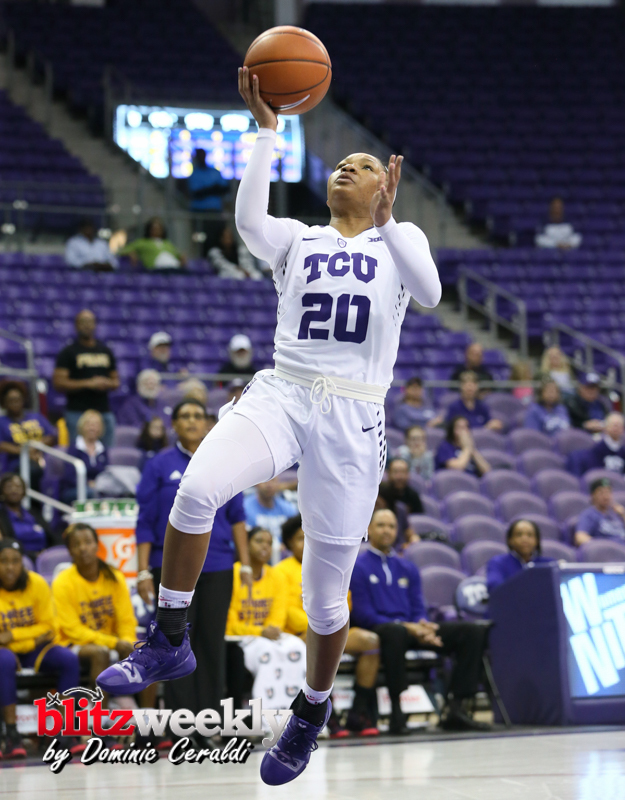 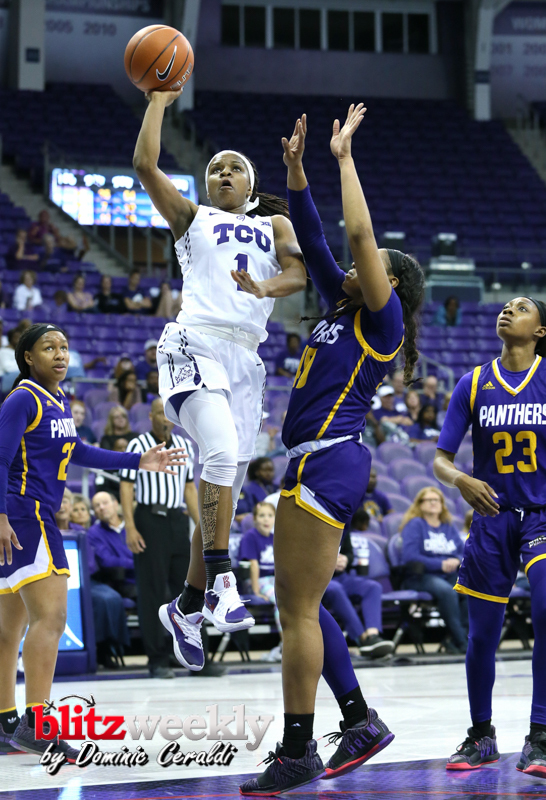 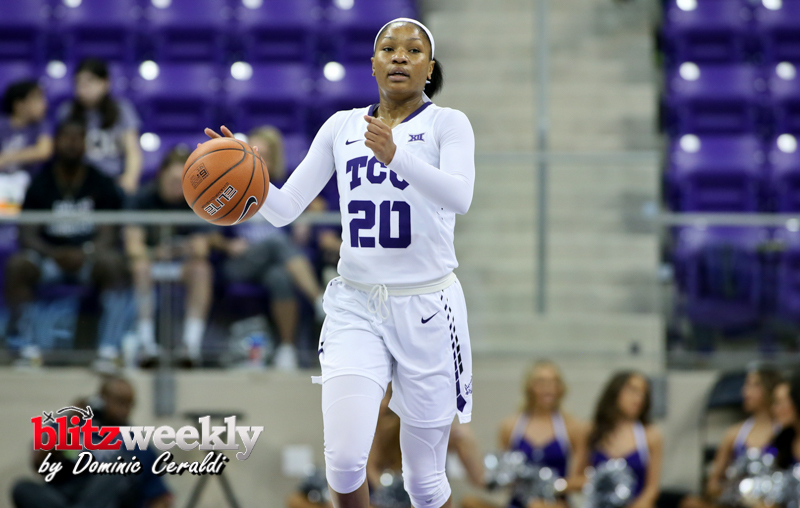 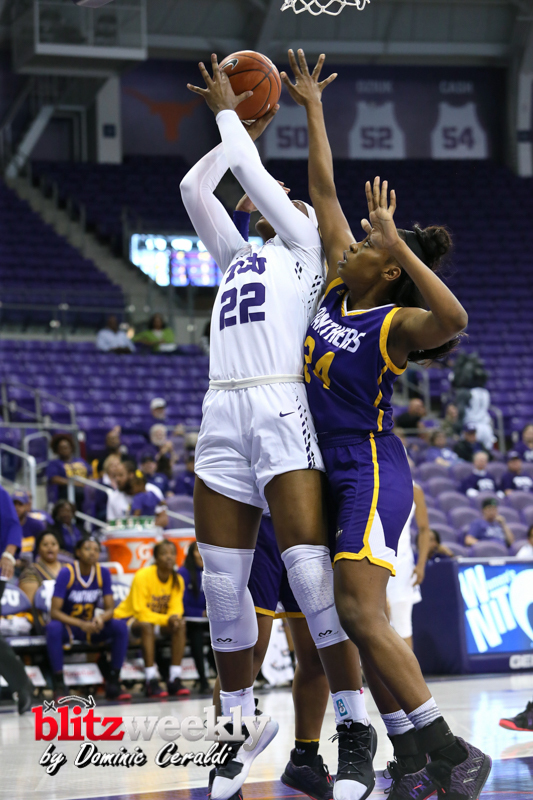 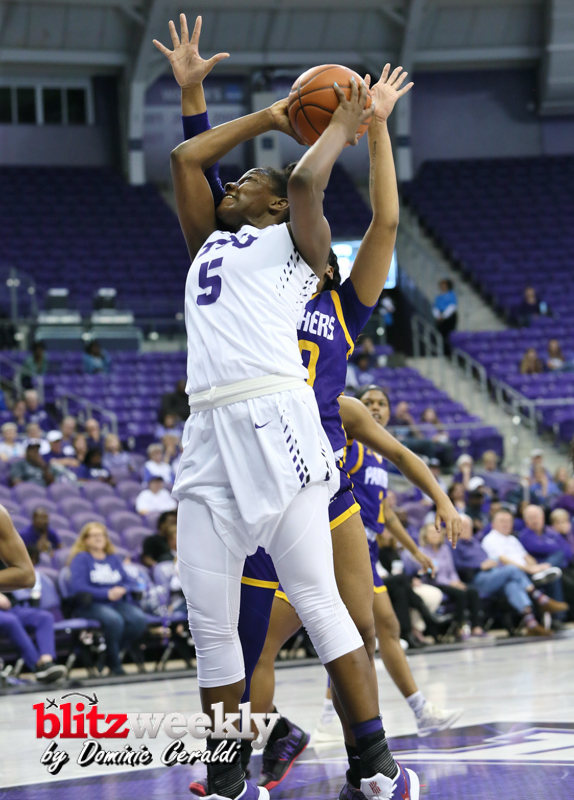 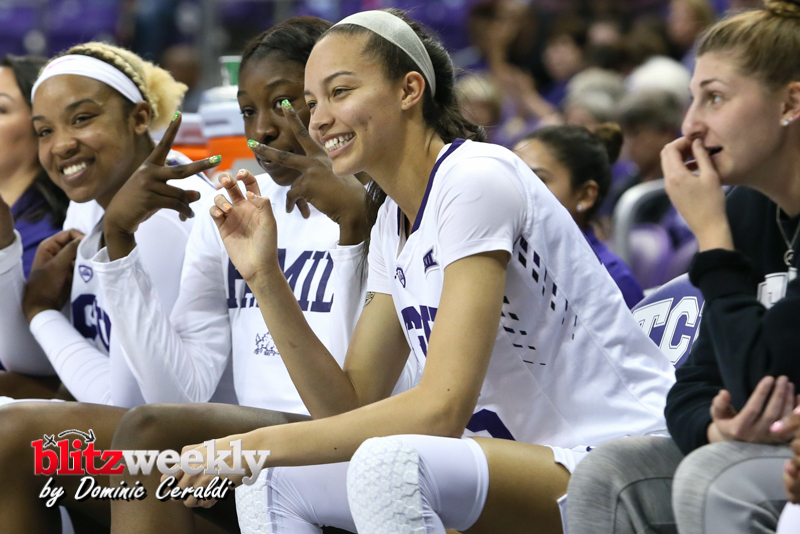 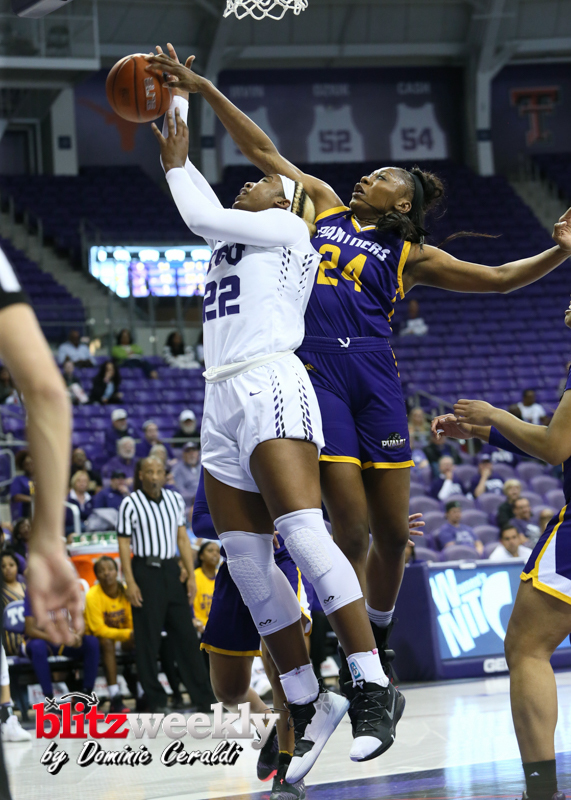 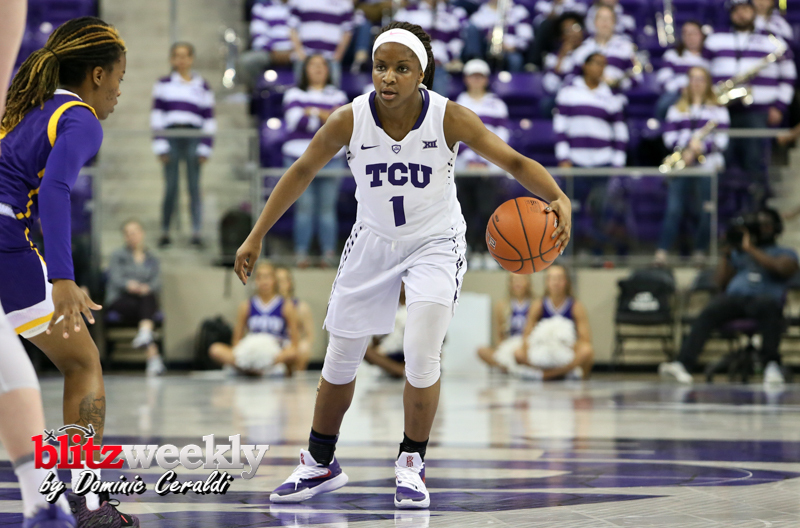 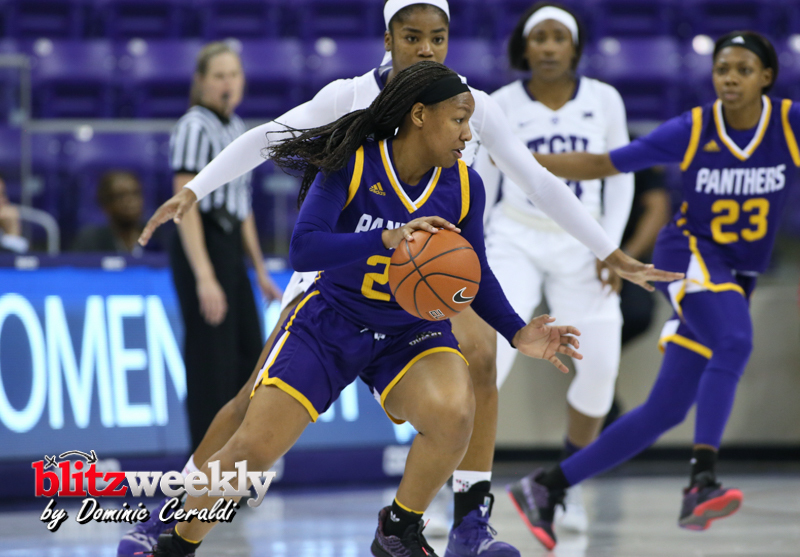 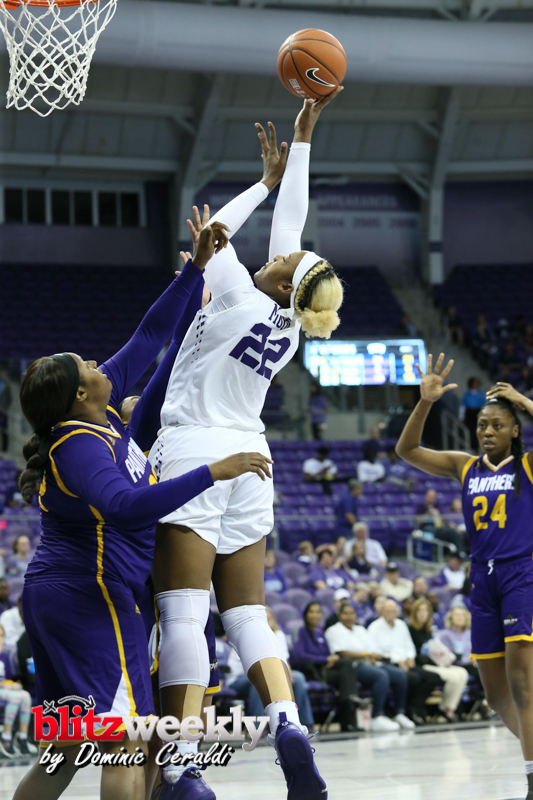 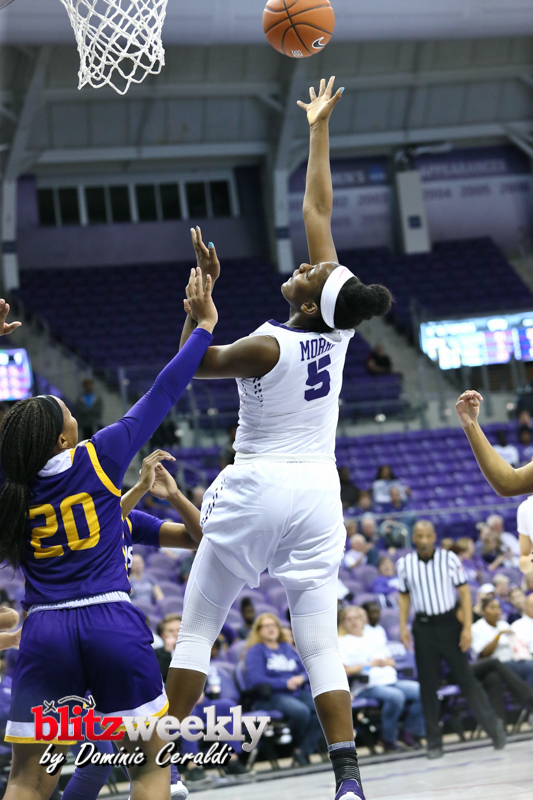 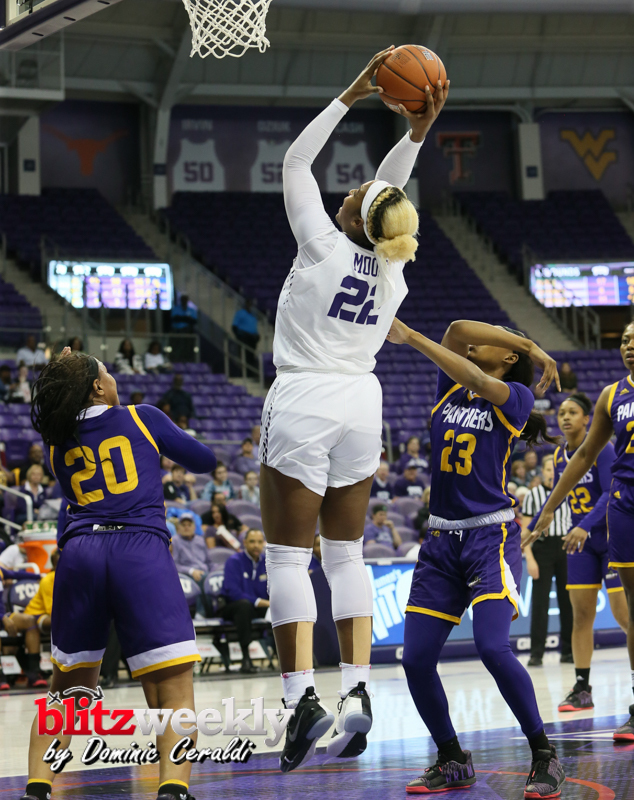 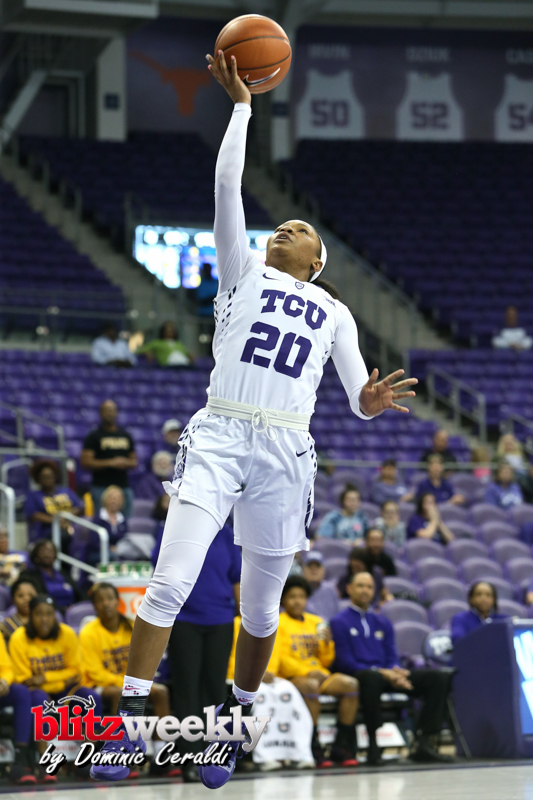 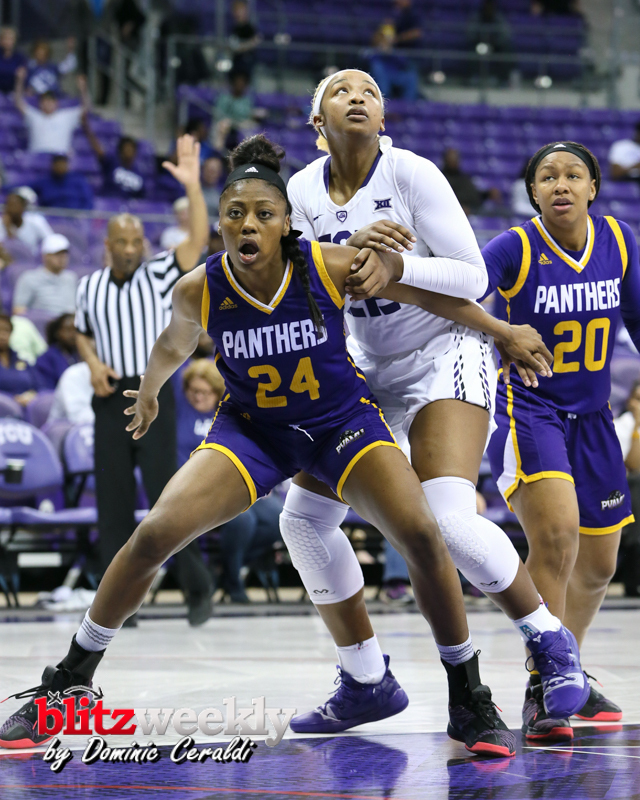 Five first-half 3-pointers by Kianna Ray sparked the TCU women’s basketball team as it cruised to a dominating 72-41 victory over Prairie View A&M in the opening round of the WNIT on Thursday evening at Ed & Rae Schollmaier Arena. 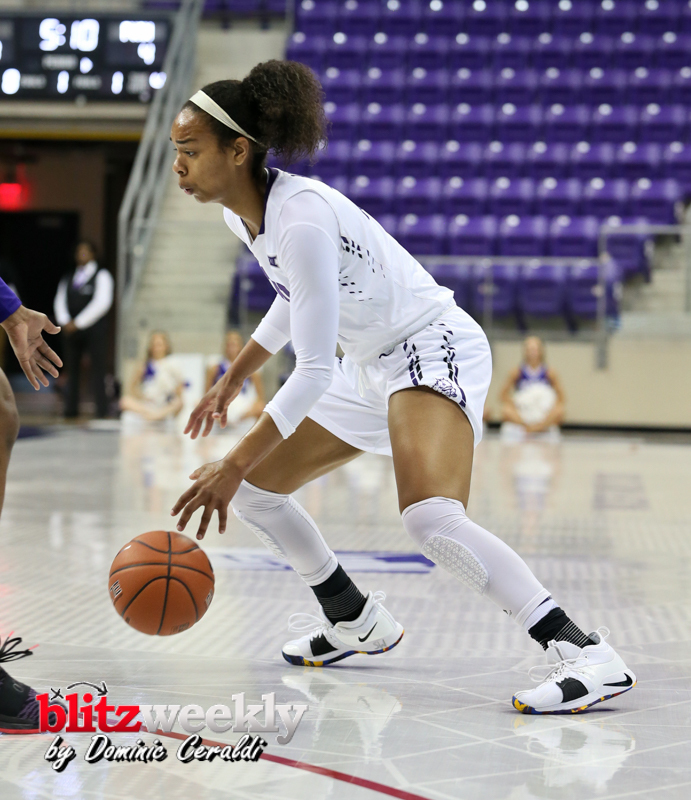 The Horned Frogs advance to face UT-Arlington in the second round at 2 p.m. on Saturday in Fort Worth. 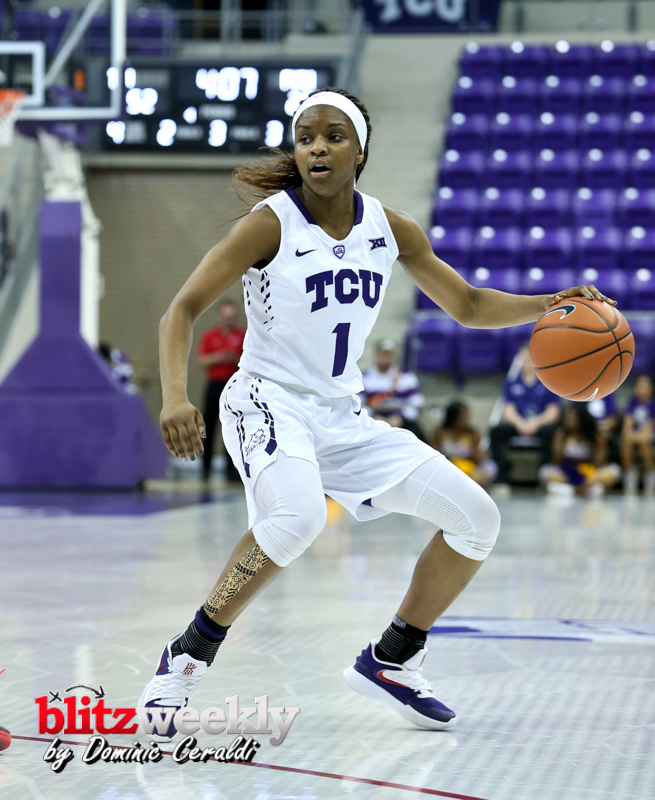 The winner of that game will take on either Arkansas or UAB in the third round of the WNIT. 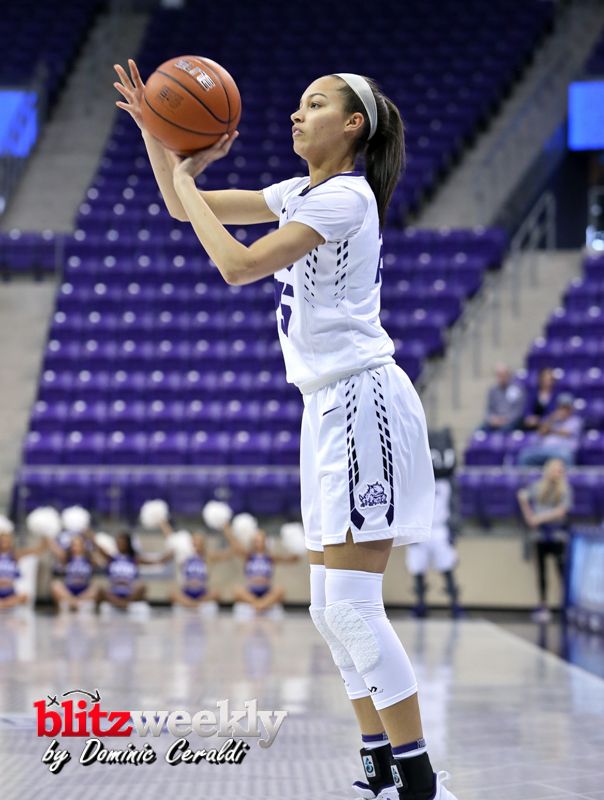 TCU jumped out to a 12-4 lead in the early goings as Kianna Ray made consecutive 3-pointers in the Frogs’ first two possessions. 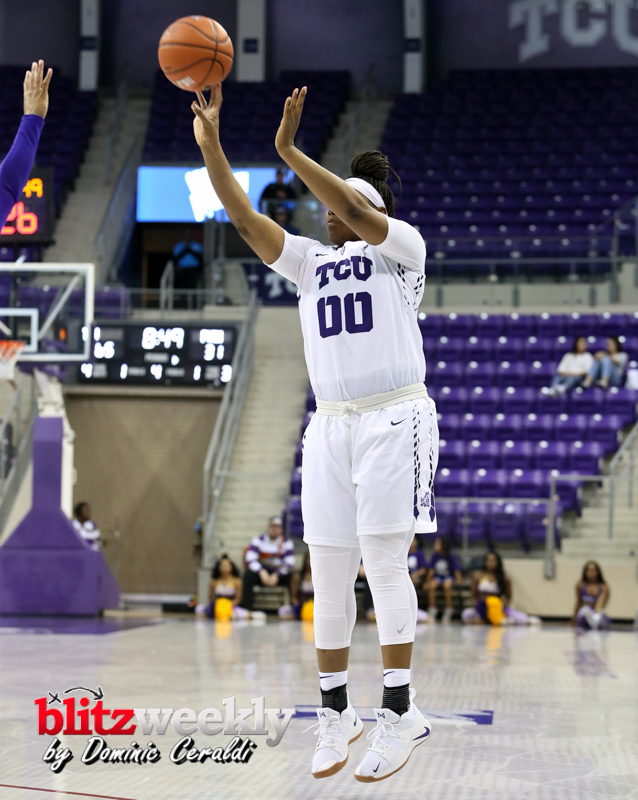 The the Frogs went cold after that though, netting just one more point the rest of the quarter. 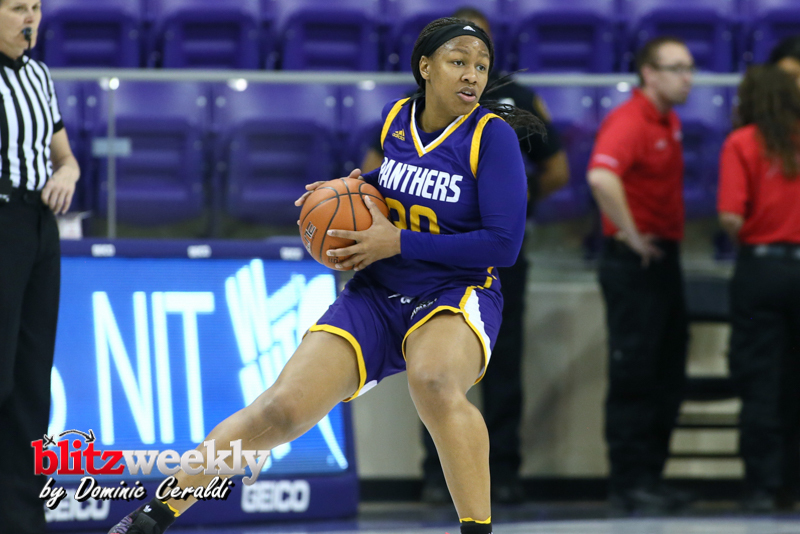 The Lady Panthers capitalized, finishing the first on a 7-0 run and tying the contest at 13-13 at the end of the period. 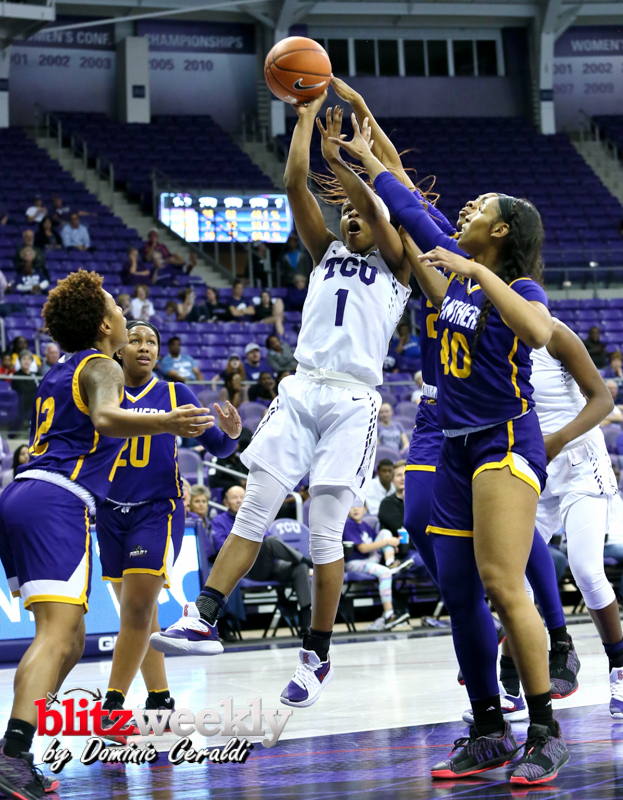 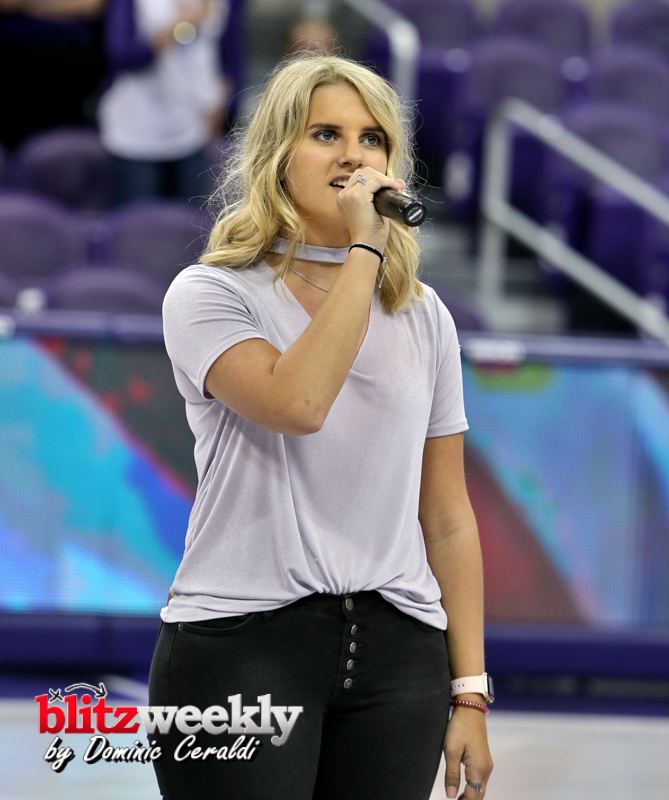 The shooting slump didn’t last long, however, as TCU kicked off the second quarter on an 8-0 run to take a lead it would not relinquish the rest of the game. 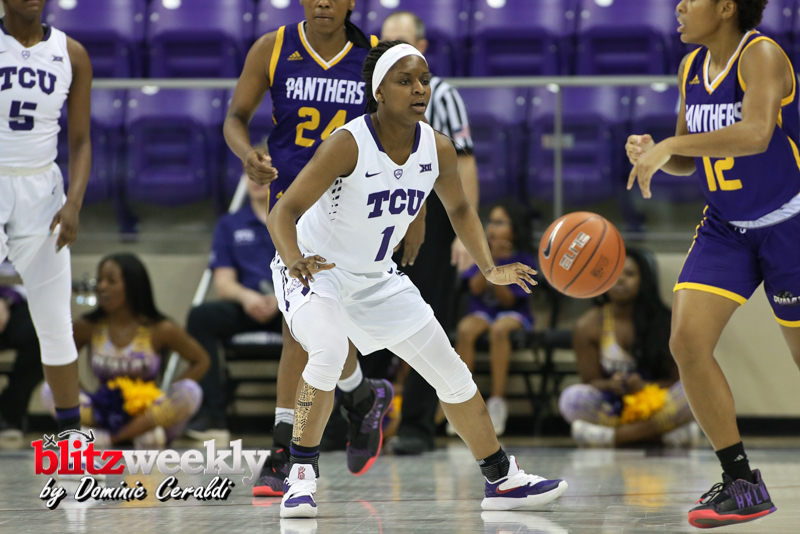 The Frogs ended the half on a 13-0 run over the last 3:44, and held Prairie View A&M scoreless in the final six minutes of the quarter. 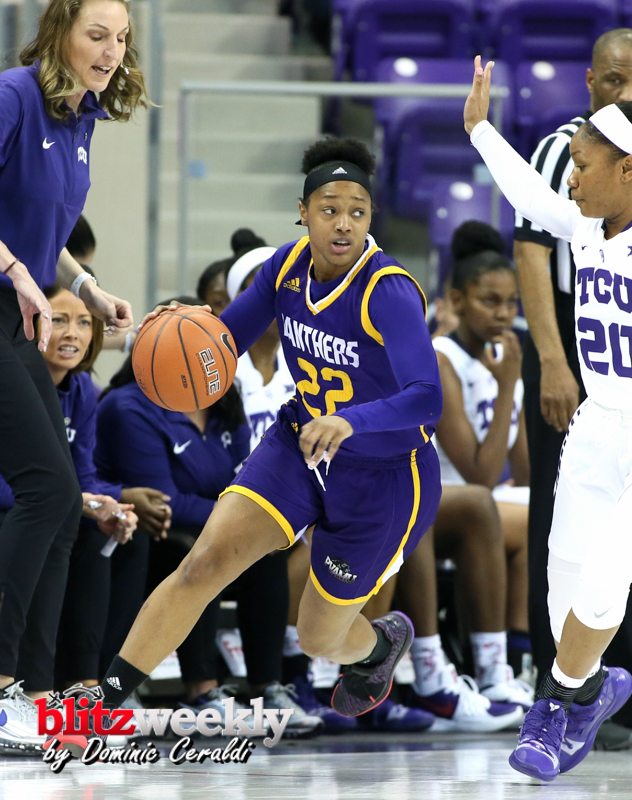 TCU outscored the Lady Panthers 21-3 in the frame, capped off by a Ray three at the horn. 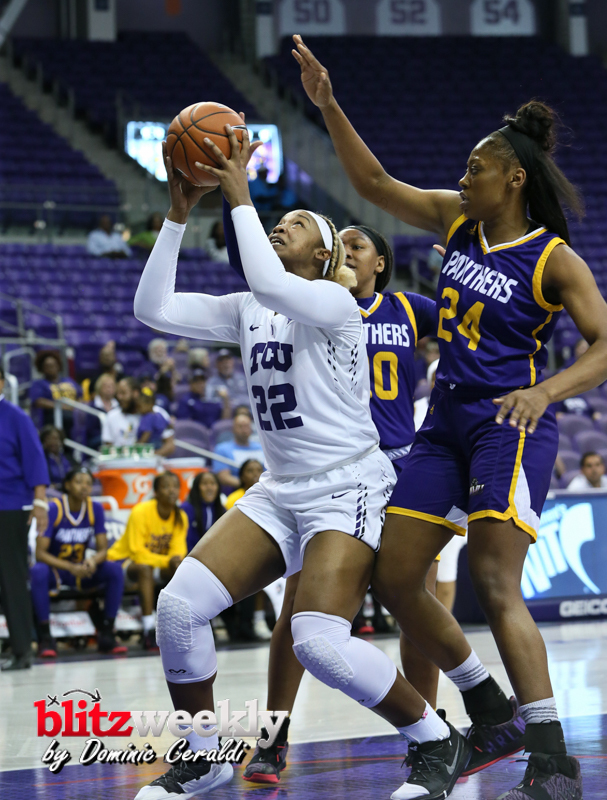 Following the break, TCU picked up right where it left off in the first half, shooting 67 percent from the floor in the third quarter which it finished on an 11-1 run. 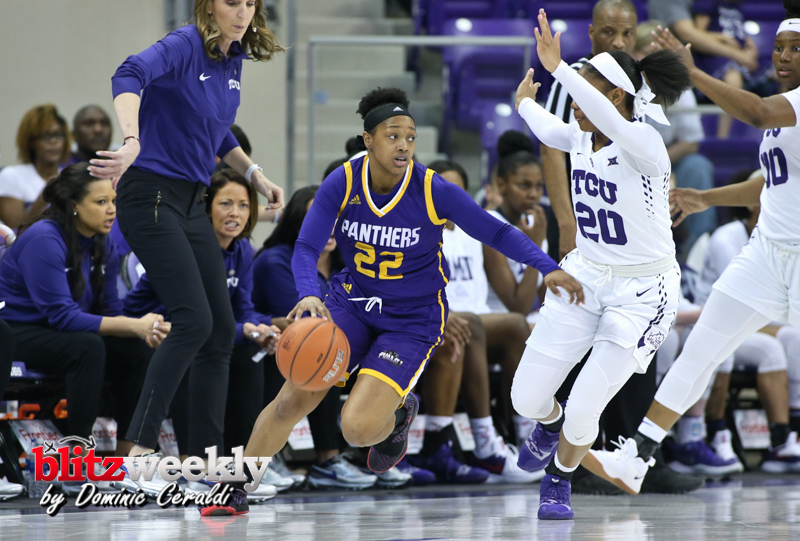 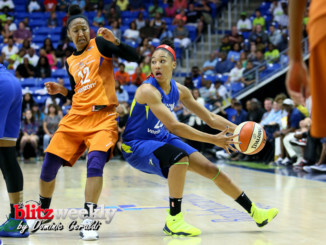 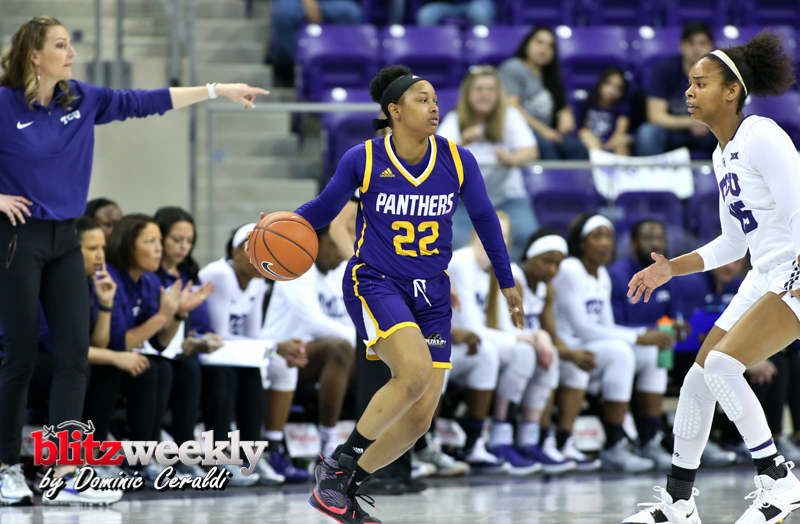 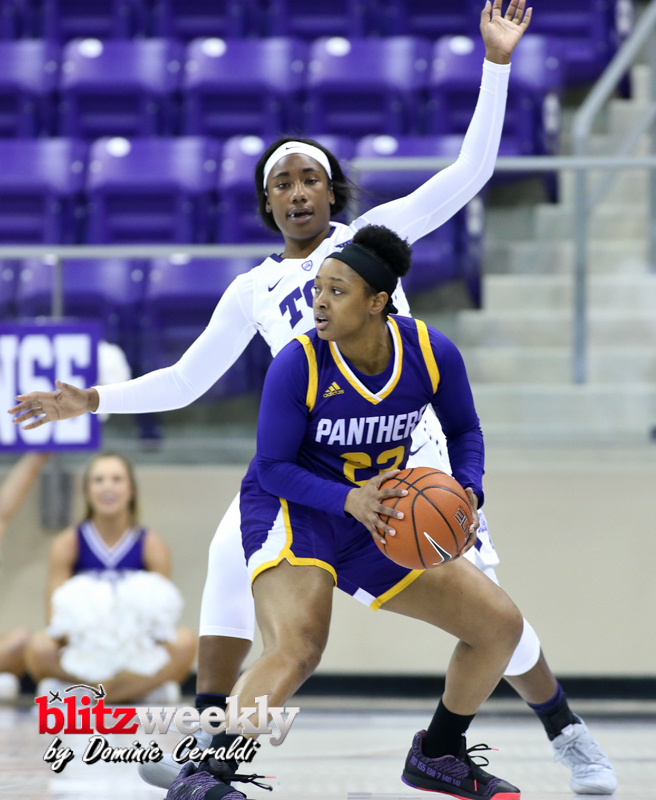 The Frogs also held the Lady Panthers to 0-of-7 from the field to end the third quarter, spanning the final 4:42 of the period. 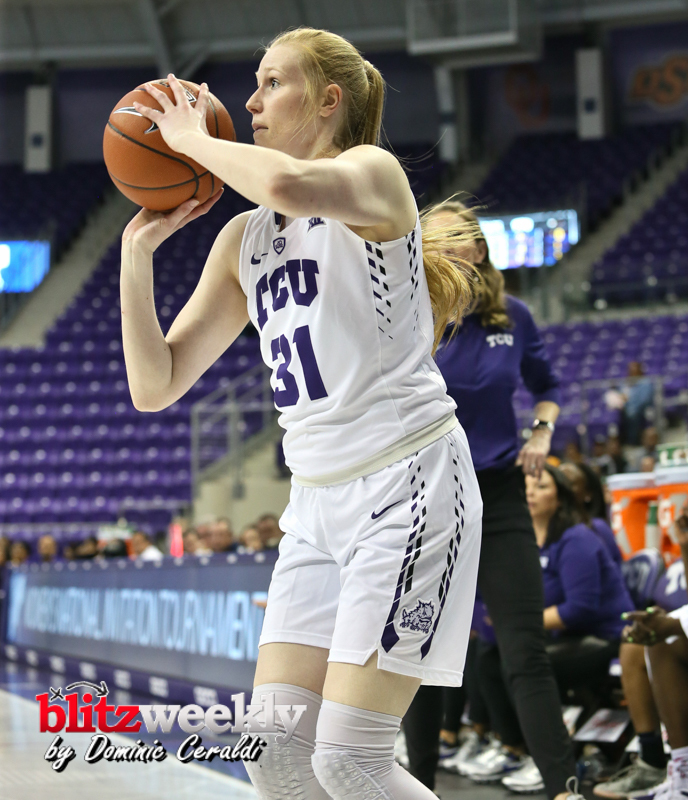 TCU’s bench helped it continued to push its lead in the second half as Ella Hellessey hit a pair of 3-pointers and scored eight points. 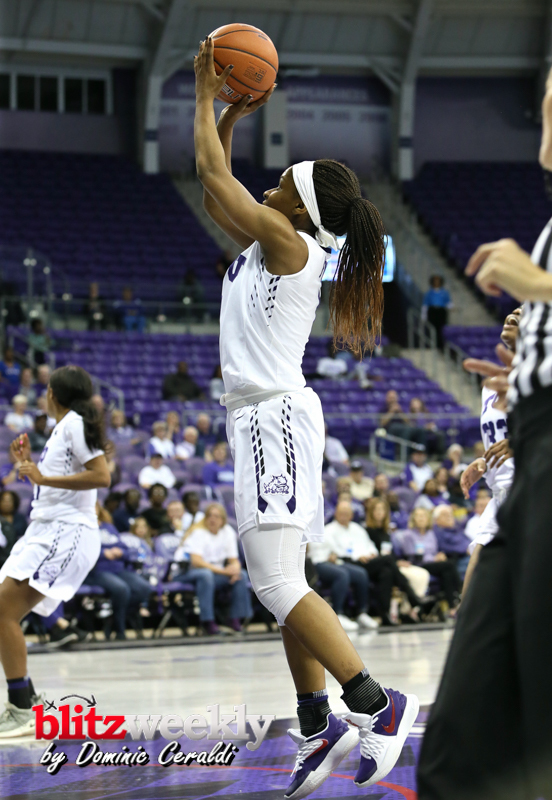 Yummy Morris also contributed off the bench, tallying 10 points in the second half. 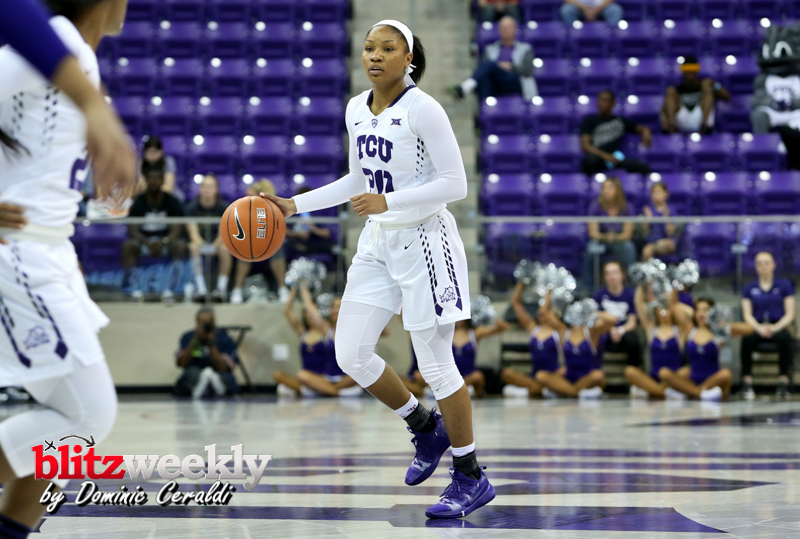 TCU was able to capitalize on its opportunities, scoring 29 points off turnovers. 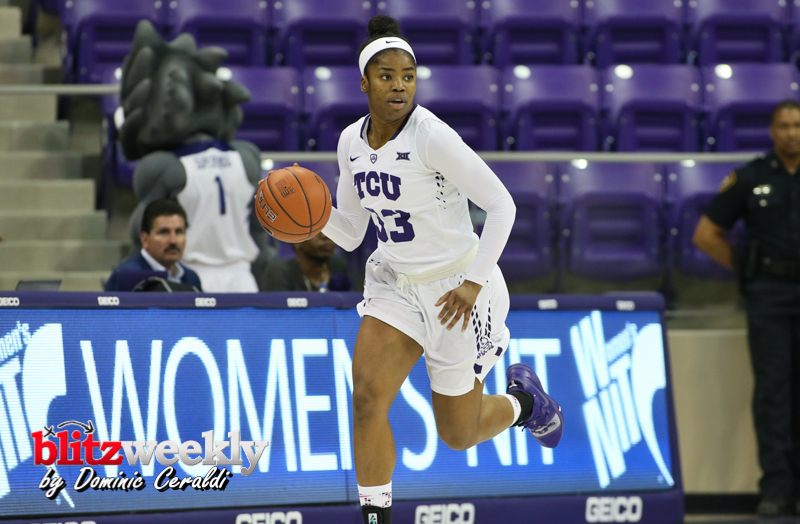 The Frogs also excelled collectively with 31 points coming off the bench.